Balancing your checkbook was critical, since there was no online account history you could check. You had to document every transaction in the checkbook register for keeping an accurate running balance. You got a statement once a month, which you would use to double-check your work – and the work of your financial institution! Whatever you use, the process is the same. You write your current checking account balance on the first line. 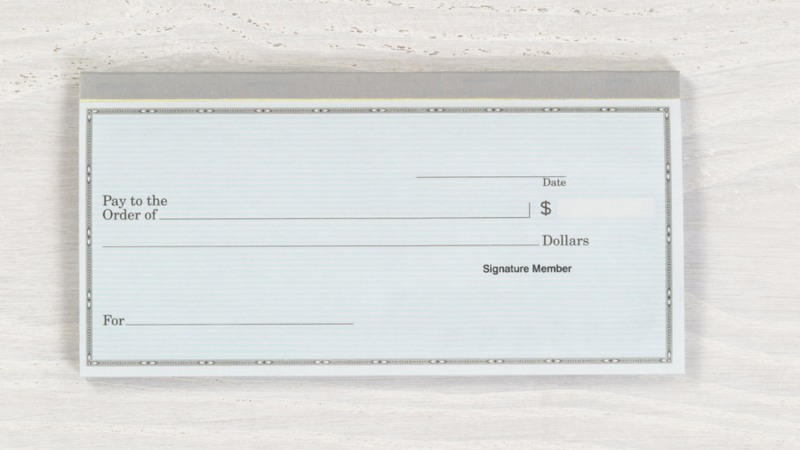 Whenever you write a check or use your debit card, you write the check number if it’s a check, the date of the transaction, a description of the transaction and the amount. Follow a similar process for online bill payments or automatic withdrawals. Then, subtract the debit from your balance and write the new balance next to the transaction. Any time you add money to your account (a credit), do the same thing, but adding instead of subtracting. Once a month, sit down with your checkbook register and compare it to your account statement. Put a check mark next to items that appear on your account statement. This is called reconciling your checking account. Different transactions process at different speeds. If you run your debit card as a credit card, that transaction goes to a payment processor, then to your credit union, then back to the payment processor, then to the merchant. The whole process can take as long as three days (or more if it’s over a holiday weekend). If you use your debit card at a busy restaurant, the manager may not get around to processing the receipt until a day or two later. Of course, if you write a check, the person you write it to may forget about it until the next week! All of these can cause your account balance to inaccurately represent your funds available. A lot of us have monthly subscriptions we’re not using. Maybe you signed up for a free trial of a cloud storage product or music streaming service and forgot to cancel. Maybe it’s a magazine subscription you thought you canceled a year ago. Whatever it is, it’s easy enough not to think about it. Keeping a checkbook register might seem like an outdated habit, but knowing where your money goes is a timeless need. If you would like help setting up a checkbook register or want to better understand how you can take charge of your finances, call, click or stop by Directions Credit Union today!